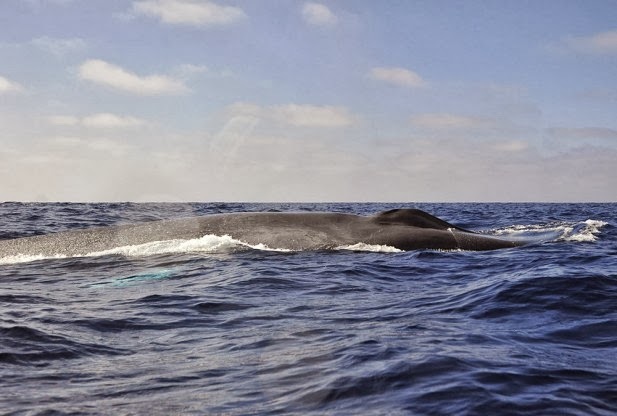 The immune system of blue whales living in the Gulf of Mexico is as good as that of humans and other terrestrial mammals. According to researchers from the National Polytechnic Institute (IPN) in Mexico and the University of Guelph in Canada, a genetic analysis revealed the whale species is healthy and could withstand an outbreak of bacteria or fungi. Jorge Ortega Reyes, head of the research conducted at the National School of Biologic Sciences (ENCB / IPN), said that the DNA of cetaceans taken from tissue samples was sequenced for a specific gene, DQA, which identifies the nature of a species’ immune system. This gene was replicated and amplified to determine its genetic variability. The analysis indicated that the blue whales in the Gulf of Mexico are quite healthy in terms of their capacity for a healthy immune response population wide. “We found haplotypes-chromosome genetic makeup-with infrequent changes, which shows that the population is different and healthy,” Reyes said. In addition to looking at blue whales, IPN researchers have also looked into the population dynamics of black bears and bats. A meta-population of black bears were studied to see how they migrate, and the bats underwent a taxonomic analysis to determine the number of species living in Mexico and Central America. Reyes said that 26 new bat species were found in Mexico and 17 were identified in Central America. “For the study we employed cytochrome oxidase, which works as a bar code; the research showed that there are six different haplotypes in vampire species, eight in nectarivores (feeding on nectar) and 30 of frugivores (feeding on fruit),” Reyes said. The IPN researchers noted that much of their recent work was performed with the help of Guelph University in Canada.